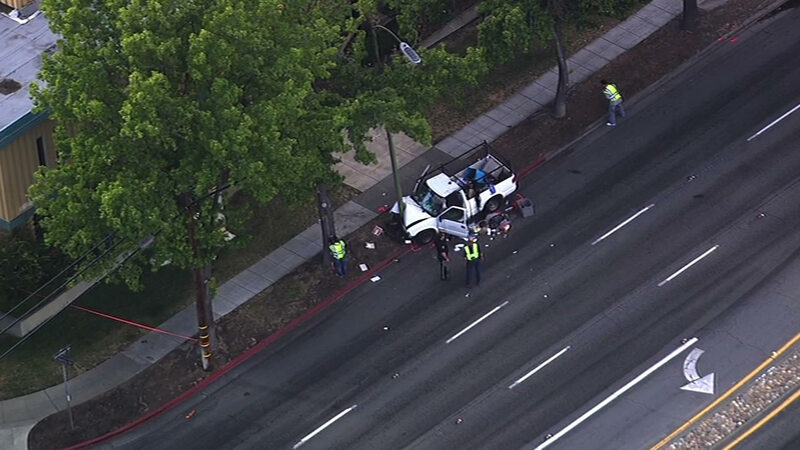 SAN JOSE, Calif. -- A man died after crashing a car into a light post in San Jose early Tuesday morning, a police spokesman said. The crash was reported at 5:52 a.m. in the 800 block of Saratoga Avenue, where the car struck the light post, San Jose police Officer Albert Morales said. The driver, the lone occupant of the vehicle, was taken to a hospital, where he was pronounced dead, Morales said. The man's name is not yet being released. The cause of the crash remains under investigation, according to Morales. The northbound lane of Saratoga Avenue is expected to remain closed until around 8:30 a.m. while authorities investigate the crash, he said. Drivers are being diverted onto Williams Road around the scene of the crash.